5.00 out of 5 based on 55 user ratings. Jaclyn is the BEST. Not only is her makeup gorgeous, she has such a fun, outgoing personality that made getting ready with all my bridesmaids even more fun. She went above and beyond on our wedding day. After realizing that my heels weren't going to pan out for a first look on the beach, Jaclyn LITERALLY took the shoes off of her feet to give to me so that I wouldn't ruin my expensive wedding shoes. She is amazing, amazing, amazing - please consider her for your wedding or next event, you will not be disappointed! Thank you Jaclyn!! Jaclyn was super easy to work with and her work is amazing. She has great positive energy and is also very professional. Leading up to the big day she was flexible as well. On the big day, we had a large group with 13 people getting their make-up done and Jaclyn and her assistant did an incredible job on everyone. It was perfect! 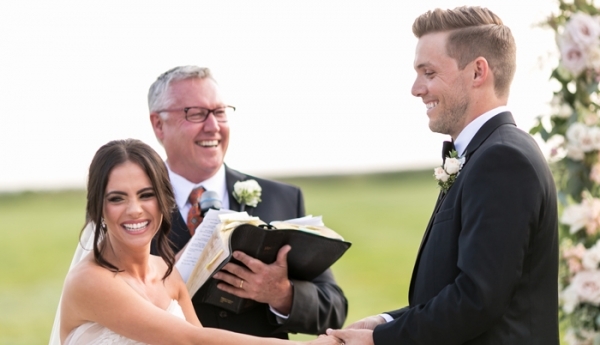 All of my bridesmaids agreed this was the best wedding make-up experience they've had. Overall I am so thrilled with how everything turned out! Jaclyn and Tracy are an absolute dream! They were so kind and funny not to mention true artists!! I was so calm due to their energy and expertise. My make up was flawless and my bridesmaids looked so incredible as well. You should book them ASAP - you won't find anyone better than these two ladies!! 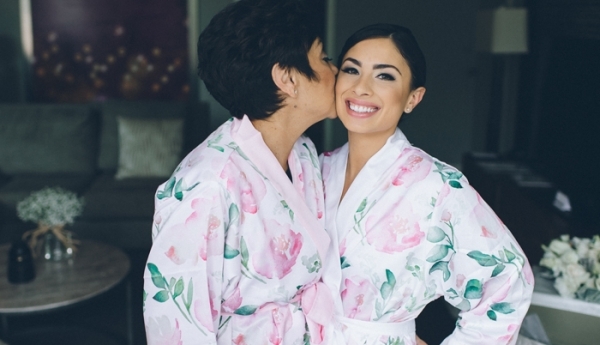 I got married in October 2017 in Glen Cove, NY, and hired Jaclyn for my wedding make-up, along with my 2 maids of honor and mom. 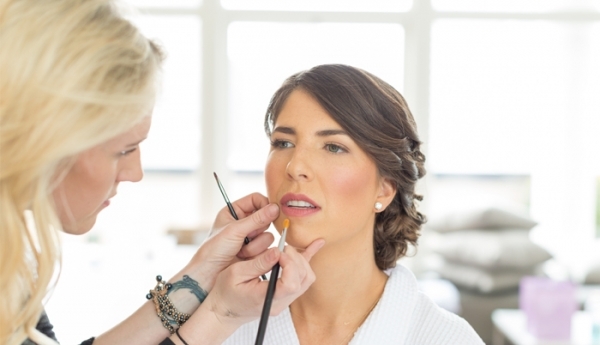 I was looking for a make-up artist that could pull off a natural look as looking like myself was a priority for my wedding day look. I was VERY impressed with Jaclyn’s work on her website and quickly became convinced she could deliver what I was hoping. Needless to say, she OVER-DELIVERED. She took my usual make-up look and elevated it without overdoing it. She was also honest about what she felt worked and didn’t, and was open to listening to my vision. The day of our wedding, she also did an INCREDIBLE job with my mom and my maids of honor. Jaclyn is not only good at her job, she is incredibly sweet, gracious and simply a pleasure to be around. THANK YOU for helping to make my day so special! 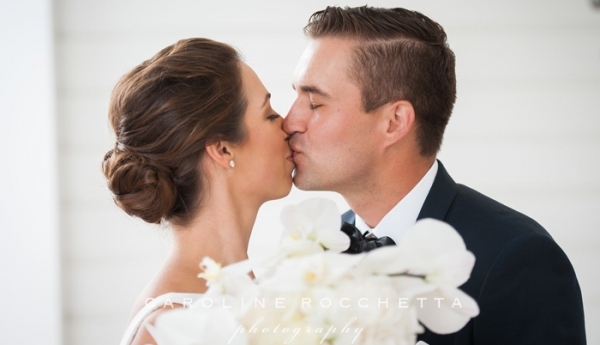 From the Bride: From trial through wedding day, Jaclyn and Tracy were wonderful to work with. Listening to what my vision was, while adding their professional recommendations, my wedding look was achieved with ease. Working with Adelyns Canvas and Ahern Beauty was fun, and most importantly I was confident I was in good hands. These ladies were fast, yet gave each of my bridesmaids the time and attention they needed to feel great. 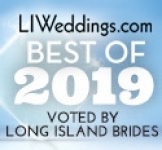 I highly recommend this team for large bridal parties particularly; they had no trouble finishing everyone on time and had plenty of time for touch-ups. Thank you, Jaclyn & Tracy,! I'm so happy we found you to help with our wedding day! From the Mother-of-the-Bride: My daughter was married this past December. After speaking with several hair and makeup companies, she decided to go with Adelyns Canvas for makeup and Ahern Beauty for hair. This was a great decision. We were so pleased with Jaclyn and Tracy. They are both professionals who take their work seriously. We had a large wedding party and they were able to get 11 hair/makeup appointments done efficiently, with no drama, and outstanding results. We thank them both for their can-do attitude and calming approach the morning of the wedding. They clearly were interested in being certain that all of the girls and, of course, the bride, were totally happy with their hair and makeup. I can't compliment them enough...they were fantastic. Two lovely woman who are both experts at what they do. They are the dream team to use. 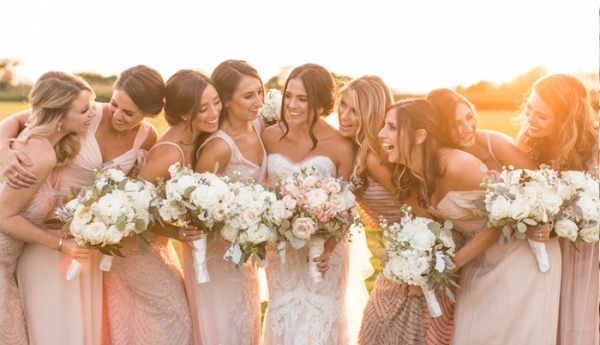 Adelyn's Canvas is a boutique-style bridal hair and makeup company. I collaborated with my business partner and best friend, Tracy after 9 years of working together. Together we have been fortunate enough to grow our company from just the two of us to a small group of talented artists/stylists. We don't take our roles lightly. It is our job to help you feel your best. I speak for my entire team, when I say we LOVE what we do. We understand and express with absolute humility, that this is YOUR day, your photos. Your experience should be nothing less than GREAT. - We will travel to you for your convenience for the initial trial, as well as the wedding day. It is our promise that we will take our time and listen to you, as you share with us your vision of your wedding makeup and hair. I would love to speak with you personally, so please feel free to reach out! 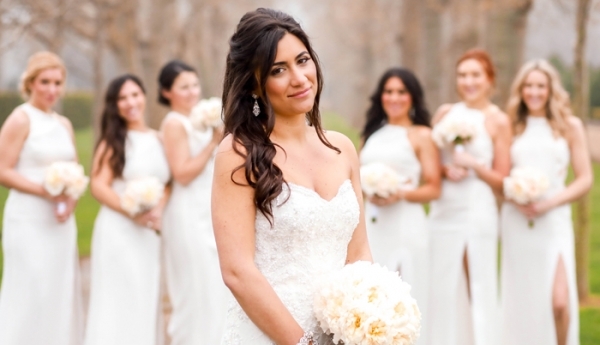 Adelyn's Canvas is a boutique-style bridal makeup and hair styling company. We travel to all of our brides, for their convenience. Adelyn's Canvas was formed after learning I would soon be a new mom to my daughter Adelyn. I have been working as a makeup artist in the bridal industry since I was 19, and it was Adelyn who inspired me to start a company of our own. Desire for natural yet enhanced beauty... Bold yet elegant drama... Which ever look you are going for on your big day, we are here to help you achieve it! We do not take our job lightly. It is our job to help our brides feel their best. I speak for my entire team, when I say we love what we do. We understand and express with absolute humility, that this is their day, their photos, and their experience with us should be nothing less than great. 4. What sets you apart from other makeup artists? 10 years ago, I found my passion for makeup after doing my very first wedding. I realized that day just how special my role and every vendor’s role was. My passion is to serve people, specifically help woman feel their most beautiful on a day that means so much to them. I have hand picked based on personality and personal values, all of my artists and trained them personally. We will go above and beyond for our brides. If that means having an assistant run to the store for fashion tape or hold my brides bouquet, while I am staying with her for touch-ups... We will do what is necessary to ensure her day is everything she expects it to be.